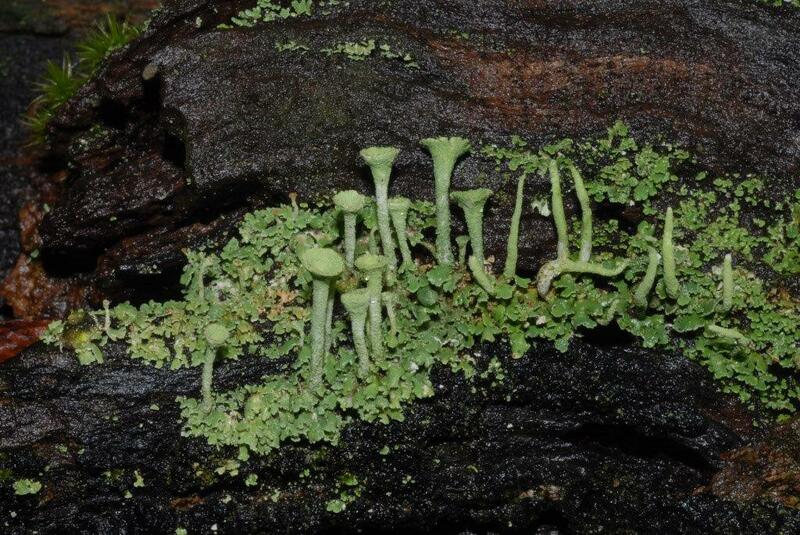 Cladonia chlorophaea. One of the commonest cup podetia Cladonias occurring on dead wood, and sandy banks in heathland areas. There are many that are similar, but the small grains of the sorediate surface of the podetia is an excellent pointer. This photograph taken at Ebernoe Common in West Sussex. To the right of the colony, there is also Cladonia coniocraea with its elephant's trunks!